Oh....Mayonnaise! : New Favorite Chip---Pop Chips! They come in several different flavors. I have only tried the Barbeque Flavor. They are scrumptious! I have only found them at my local Kroger Store. 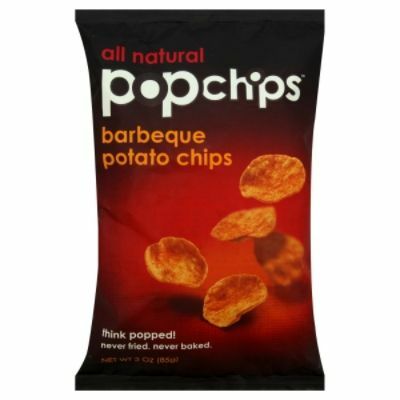 The flavor in these pop chips are just amazing! I picked up the personal snack size bag to try out! The bag only has 100 calories and 3 fat grams! They are All natural, no preservative, no Artificial flavors or colors. And NO Cholesterol! I have 2 buy one 13 ounce bag; get one free! Guess I will be heading back to Kroger today or tomorrow! Go and check these out------THEY ARE AWESOME!